Key difference: Brass is a metal alloy of copper and zinc. Bronze is an alloy of copper and tin. 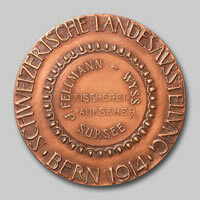 Copper is a common type of earth metal; however it is very soft for most applications. So, other metals are combined with copper to give it different properties. Both, brass and bronze are such copper alloys. 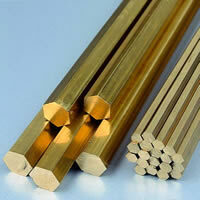 Brass is a metal alloy of copper and zinc. It is the most commonly used copper alloy. Usually the zinc content in brass varies. The changing zinc percentage gives the variation of color in brass. The zinc makes brass stronger and cheaper; however it reduces its electrical conductivity. Also, brass is immensely easy to cast and is resistant to corrosion. It has the color appearance of muted yellow, similar to dull gold. Due to this, brass is commonly used for decorative purposes. Bronze is an alloy of copper and mainly tin. However, sometimes it may also include phosphorus, manganese, aluminum, or silicon. Bronze is older then brass and was used throughout antiquity. Since bronze is a copper-tin alloy, it is more expensive than bronze. The tin increases bronze’s strength, hardness, fluidity and corrosion resistance; however it tends to reduce bronze’s malleability. Both brass and bronze are commonly used today. Some of the applications of brass and bronze include sea water condenser systems, pipe works in chemical plants, automotive parts, marine applications, coins, medals, thermocouples, resistance wire, etc. Alloy of copper and zinc in varying quantities. Alloy of copper and tin, may include phosphorus, manganese, aluminum, or silicon. Usually 88% copper and 12% tin. Muted yellow, similar to dull gold. Malleability, acoustic resonance, low melting point (900 to 940 °C), easy to cast, can be hard and soft, usually softer than steel. Less brittle than iron, lower melting points than steel or iron, heavier than steel, softer and weaker than steel, resists corrosion and metal fatigue, and is a better conductor of heat and electricity than most steels. Musical instruments such as the trombone, tuba, trumpet, cornet, euphonium, tenor horn, and French horn, pipes and pipe fittings, plumbing fittings, fixtures, and zippers. Top-quality bells and cymbals, boat and ship fittings, ship propellers, submerged bearings, weather-stripping, bronze wool for woodworking applications, building of cannon, hammers, mallets, wrenches and other durable tools. Widely used to cast bronze sculptures.